You know what? 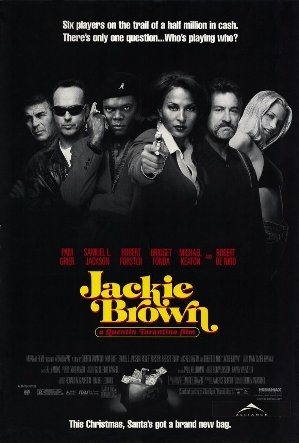 I think Tarantino likes the 1970’s.. well, so do I, so do I.
Jackie Brown is such a throwback to the Blaxploitation films of the 1970’s that I almost think that Tarantino travelled back in time to gather up some magic, earth toned 70’s mojo to pack into this film… or not. Starring Pam Grier (yeah, the tough chick from… those 70’s Blaxploitation films… see? I told you! ), as Jackie Brown, a tough attractive flight attendant, who supplements her meagre wage by smuggling cash into the US from Mexico for a gun runner named Ordell Roberts, played by the seriously awesome Samuel L. Jackson. When one of Ordell’s mules gets caught and incarcerated, Ordell aranges for their bail, and kills them so they won’t turn informant. Soon after, Jackie herself gets caught by the feds bringing in cash and drugs (which were placed on her, without her knowledge). Refusing to testify against Ordell, she is locked up. Despite her refusal to talk, Ordell is still worried that she may talk to the feds, so he arranges her release, and plans on killing her too. 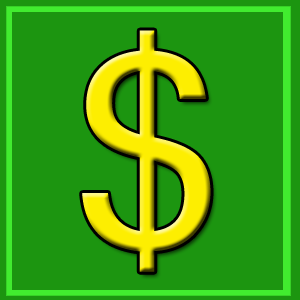 Turning the tables on Ordell (a pistol will do things like that), she negotiates with Ordell to pretend to be working with the feds while smuggling a crap load of cash for Ordell. 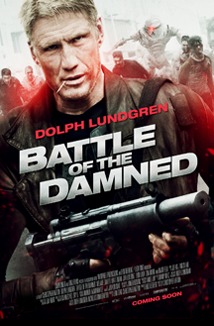 -This list was copied directly from the Wikipedia article on this movie which can be found here . Oozing cool, Jackie Brown delivers 1970’s awesomeness, updated (just enough), for a (mostly), modern audience. If you haven’t seen this film, and like the style of Tarantino films, then this is for you. If you like your films, antiseptically clean, then walk away…and why are you reading this blog anyway? Check out the trailer below, and why not watch this masterpiece tonight?